More than 6 years, after experimenting on my own. I have decided to share my knowledge to my fellow photographers, home photographers and future professional photographers. The things I am going to show and teach you are things that I have learned from researching, looking at photographs, and things I have personally discovered and invented from doing Photography. I will also teach you not just the basic stuff but the tips & tricks in Photography, and how to really make use of your Camera. I am a Professional Photographer and a Graduate of NEW YORK INSTITUTE OF PHOTOGRAPHY, AWARD OF MERIT WINNER. I believe that YOU LEARN BY DOING, so this Photography workshop is 80% hands on. Just as we are different people, we are also different photographers. People interpret what they see in different ways, I'm just going to teach you the tricks that you can use in your own photography but you have to find your own direction or your own focus. 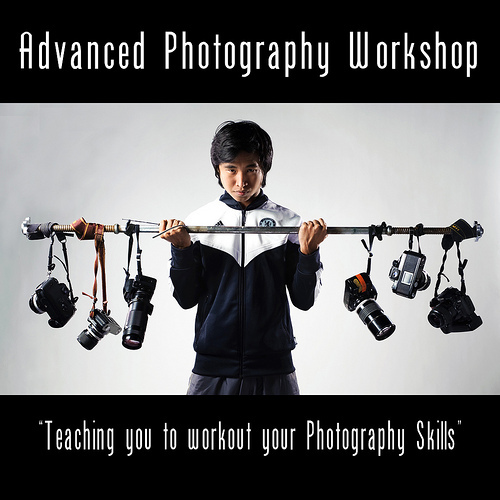 The First Batch of 1 Day Advanced Photography Workshop started March 6 2010. After more than 5 years of teaching I have already taught 90 Batches, or more than 1000 Students. As I learn new techniques, I do not hesitate to share and teach them to my students. This is also why the workshop outline usually changes and gets even better every month. Important Camera Functions for using off-camera flash. Venue is in LSG STUDIOS, Panay Ave. Q.C.